House Oversight and Government Reform Ranking Member Jim Jordan released a report Tuesday morning accusing Democrats of desperately trying to keep the citizenship question out of the 2020 census, of interfering in ongoing litigation over the issue at the Supreme Court and wanting non-citizens to vote in U.S. elections. "Democrats do not want to know how many citizens there are in the United States. Although the Census Bureau has sought citizenship information regularly in the past, Democrats now fear that a full survey of U.S. citizens will hurt their political fortunes for years to come. Liberal state attorneys general and left-wing special interests have sued the Commerce Department to prevent the Census Bureau from reinstating a citizenship question on the 2020 Census. The case is now before the United States Supreme Court, which will hear arguments later this month," the report states. Since the Trump administration announced the reinstatement of the citizenship question on the census last year, Democrats have decried the move. Since taking over the House in November, Oversight Chairman Elijah Cummings launched an investigation into the change and has repeatedly implied the administration wants the citizenship question on the census for nefarious reasons. "Chairman Cummings is pursuing this oversight in a transparent attempt to interfere with the ongoing litigation over the citizenship issue, at the Supreme Court and in lower courts," the report states. "Chairman Cummings’s investigation of the Commerce Department’s reinstatement of the citizenship question on the census is just another example of his partisan oversight of the Trump Administration. Chairman Cummings and left-wing special interests are desperate to prevent anyone from knowing the number of citizens in the United States. They see interfering with the Supreme Court’s ongoing litigation as their last best chance, and Chairman Cummings and the Democrats are willing to influence the Court by any means necessary." According to Jordan and the report, Cummings' investigation of the matter is an inappropriate interference with current litigation at the Supreme Court. The report points out that during the Obama administration, then Ranking Member Cummings warned about the Committee interfering with ongoing litigation. "Oversight and Reform Committee should not use its limited resources to interfere directly in matter on appeal before the United States Supreme Court. The fact that Chairman Cummings is eager to do so—in the face of his prior statements counseling against such actions—shows just how desperate the Democrats are to prevent the Census Bureau from soliciting citizenship information," the report states. Further, Jordan is making the argument Democrats are blocking the citizenship question in order to increase the number of non-citizens voting in elections. "The Democrats do not want anyone—the Census Bureau, Congress, or the American public—to know with accuracy the number of United States citizens in the country. 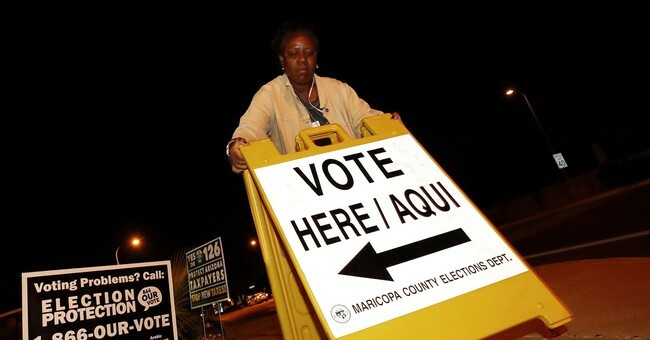 A majority of Democrats in the House of Representatives support non-citizens voting in U.S. elections," the report's conclusion says. "It seems rather apparent, therefore, that Democrats in the House hope to prevent the Census Bureau from asking about citizenship to increase the number of non-citizens voting in elections." As the report states, litigation over a question about citizenship being included in the census is ongoing.